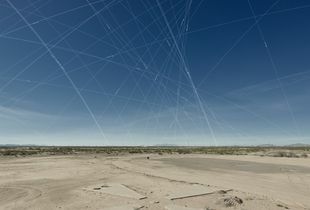 Damon Sauer and Julie Anand are artists and educators based in Phoenix, Arizona. 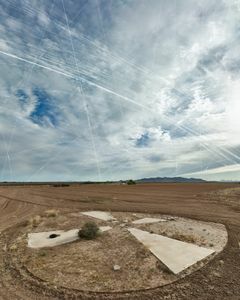 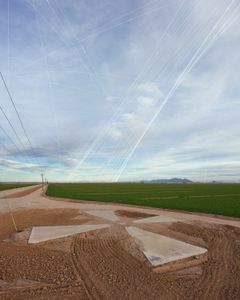 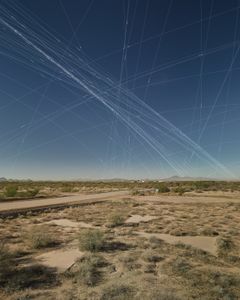 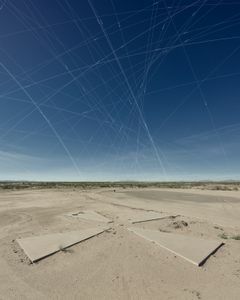 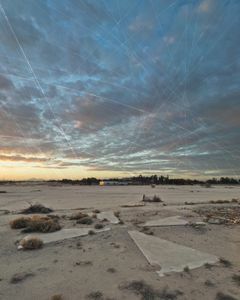 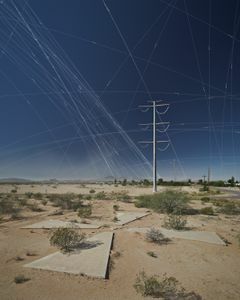 Anand and Sauer's current collaboration Ground Truth—Corona Landmarks explores the the ubiquity of contemporary satellite technology filling the skies in the context of the remains of Cold War satellite calibration markers on the ground. 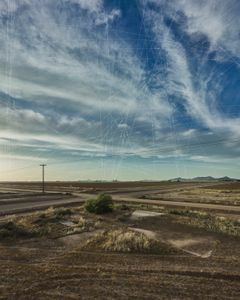 The project was chosen as a Critical Mass Top 50 selection in 2016 and has recently been featured in Wired magazine and Places Journal with upcoming features in Lenscratch and Hyperallergic. 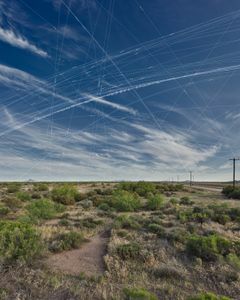 Both artists received their MFA degrees in Photography from the University of New Mexico in 2005 and have been collaborating for over a decade. 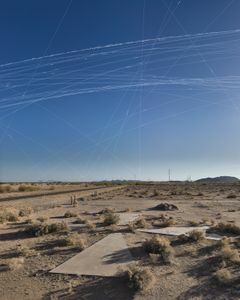 They use an interdisciplinary, haptic approach to lens-based media to interrogate boundaries and to explore the body as a site of perception. 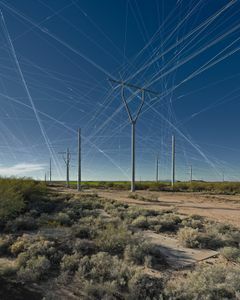 Art New England favorably reviewed Anand and Sauer’s first formal collaboration in 2004. 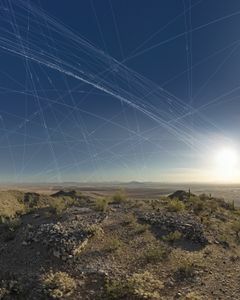 Since then, their collaborative work has been exhibited at venues including RayKo Gallery in San Francisco, the LA Center for Digital Art, School 33 Art Center in Baltimore, the El Paso Museum of Art, Zhou B. 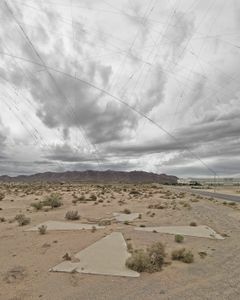 Art Center in Chicago, Site:Brooklyn, and Museo de Arte, Cuidad Juarez. 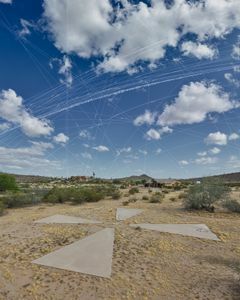 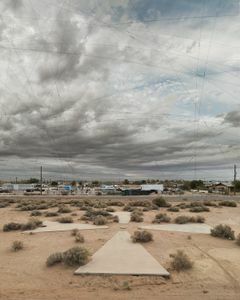 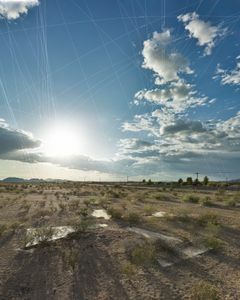 They received an Artist Project Grant by the Arizona Commission on the Arts for their current project Ground Truth—Corona Landmarks as well as a Collaborative Seed Grant from the Herberger Institute for Design and the Arts at Arizona State University. 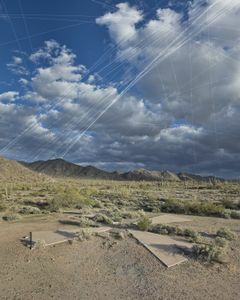 They have co-lectured in contexts including the University of Oklahoma, the Art Academy of Cincinnati, Rhode Island College, and the Southwestern/Western Regional Society for Photographic Education Conference on Collaboration held at the Center for Creative Photography, Tucson, AZ in 2007. 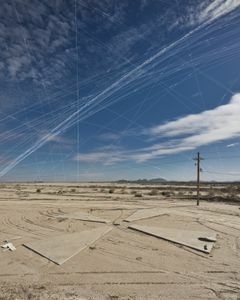 Sauer is currently serving as Assistant Professor of Photography at The Art Institute of Pittsburgh-Online Division and has also served as a Visiting Assistant Professor at Herron School of Art in Indianapolis. 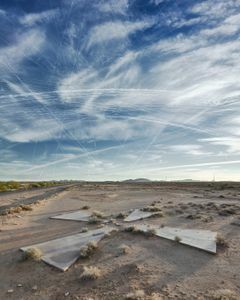 Anand is Associate Professor of Photography in the School of Art and Senior Sustainability Scholar in the Global Institute of Sustainability at Arizona State University. 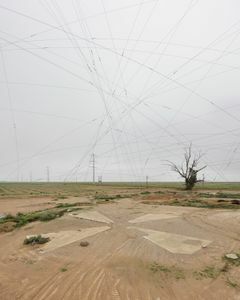 Her projects, informed by a background in Ecology, often explore material culture, body/land relations and issues of interdependency. 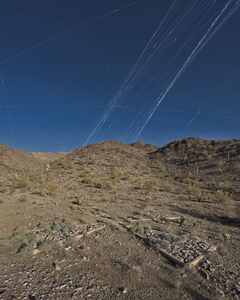 Why are humans so fascinated by the prospect of seeing from above? 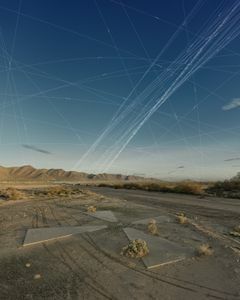 A project weaving together satellite landscape shots with a classified CIA surveillance project in order to reflect on this moment of omnipresent watching and mapping.